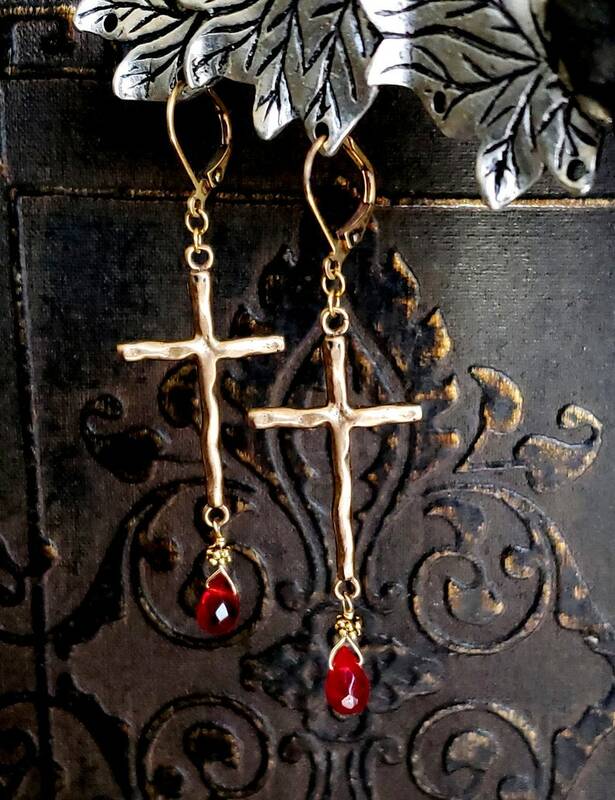 A large handmade SOLID BRONZE hammered metal cross is paired with a bright red faceted quartz briolette gemstone*. 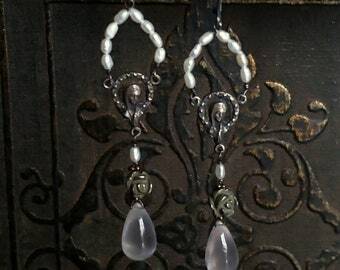 The perfect statement earring for special occasions. Vintage brass leverback. (Gold filled leverback can be substituted upon request.) 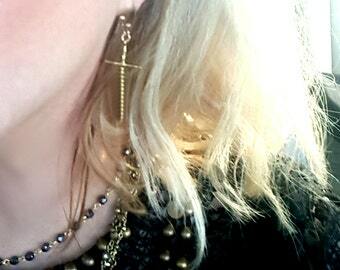 Earrings are surprisingly light weight. 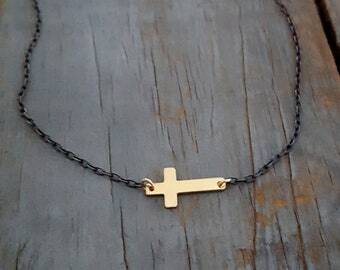 Wear with all black and let the gold and bit of red pop.